Visit Roche Estate, filled with local shops that sell Australian products like cheese, gelato, and even beer! Tour guide is friendly. The wine yard is good. The weather so good but this day is very hot if go in winter might be better. But it is nice experience for wine lover. 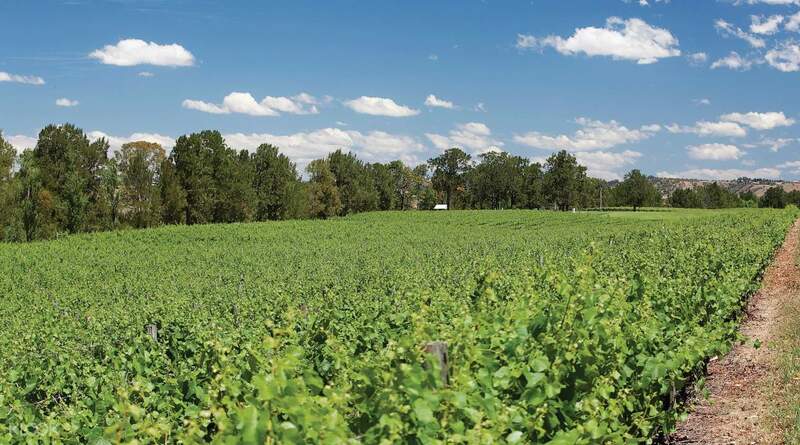 The best thing about this wine experience tour in the Hunter Valley is that you can taste all the wines you want without having to worry about driving back to Sydney! 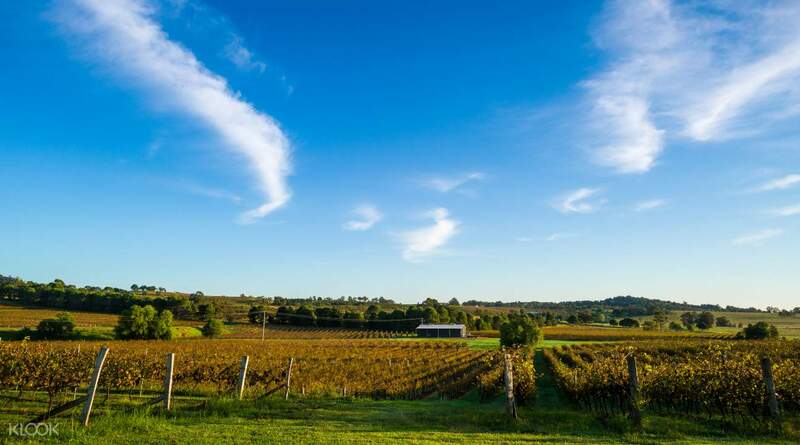 Pay a visit to some of the best wineries in the region as your day covers three award winning wineries, each with their own distinction, whether it is the historic and famous McGuigan Wines or the cosy Hunter Resort country inn. You'll learn about the wine-making process, how it is harvested in the region and, of course, sample several of the fine wines. Not only that, but a lunch of seasonal produce is included, plus time to browse some of the local boutique shops. 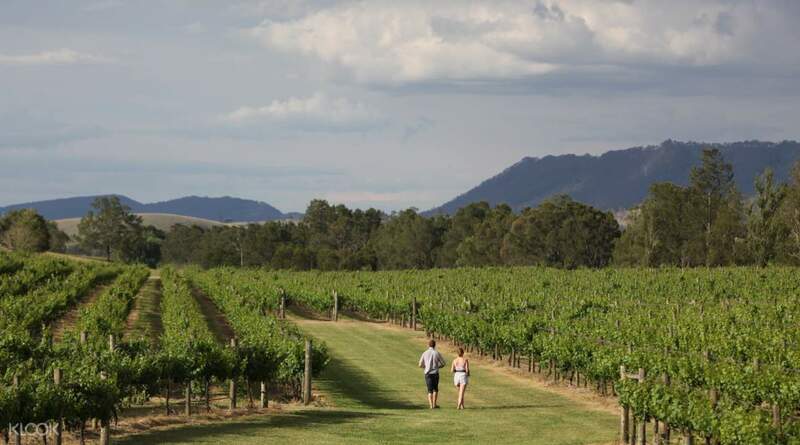 Finish the tour at Roche Estate, where you will have free time to explore the local shops that offer a variety of Australian cheeses with gourmet delights, coffee, gelato, craft beer, and cellar doors. By the end of the day, you can kick off your amateur degree as a wine connoisseur! 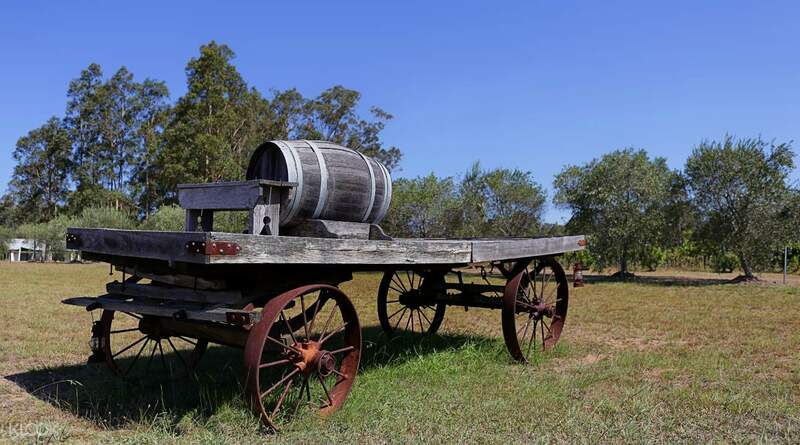 How can you leave the Hunter Valley without having a taste of the local wine? Great and Comfort trip! Interesting guiding and tasty lunch we had during the trip. time is control quite well, we can completed the trip and back to the town on time. Great and Comfort trip! Interesting guiding and tasty lunch we had during the trip. time is control quite well, we can completed the trip and back to the town on time. all good and a day for wine tasting with a fine lunch at Hunter Valley. it was well arranged for the 3 vineyards that we did different activities there, one saw warehouse and production, one had lunch and 2 had wine tasting). all good and a day for wine tasting with a fine lunch at Hunter Valley. it was well arranged for the 3 vineyards that we did different activities there, one saw warehouse and production, one had lunch and 2 had wine tasting). We tasted a number of white, red and sparkling. The guide was nice and friendly. We saw wild kangaroos on the way. A wonderful tour! We tasted a number of white, red and sparkling. The guide was nice and friendly. We saw wild kangaroos on the way. A wonderful tour! The meeting place was arranged so that it will be very near from where we were staying. We’re not wine drinkers but we got several bottles from each winery. Our guide Peter was very knowledgeable and was such a delight. Lunch was sumptuous. The country side was a refreshing sight. Different and great experience. The meeting place was arranged so that it will be very near from where we were staying. We’re not wine drinkers but we got several bottles from each winery. Our guide Peter was very knowledgeable and was such a delight. Lunch was sumptuous. The country side was a refreshing sight. Different and great experience. Tour guide is friendly. The wine yard is good. The weather so good but this day is very hot if go in winter might be better. But it is nice experience for wine lover. Tour guide is friendly. The wine yard is good. The weather so good but this day is very hot if go in winter might be better. But it is nice experience for wine lover. It was fun. 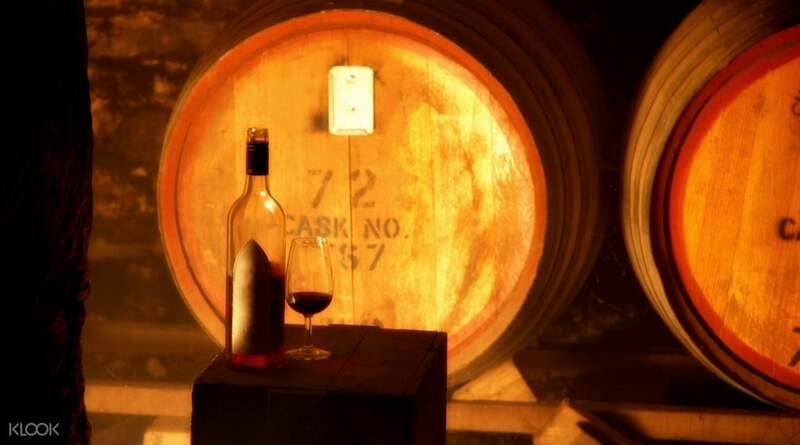 If you are wine lover, you should join this trip! it’s a short trip, won’t stay too long in every winey, but it’s good experience. It was fun. If you are wine lover, you should join this trip! it’s a short trip, won’t stay too long in every winey, but it’s good experience. If you like wine, it is worth to go. If you like wine, it is worth to go. Do note that hotel pick up is limited to specific hotels only, I had to walk to Holiday Inn Darling Harbour for the pick up. During the drop off, guide/driver will decide a few convenient locations to drop everyone as the traffic was bad and there were many road works on a Friday evening. Lunch was mediocre. We only liked the wine tasting at Leogate which is a more boutique wine making place. The main itinerary is wine tasting @ Leogate, lunch, wine tasting at Macguian (optional cheese tasting that is chargeable) and then a chocolate shop. I feel it’s a little overpriced, more like a day trip with many stopovers for you to purchase wine & chocolate, that’s about it. A little too overpriced and experience was just alright, not worth the $$. Do note that hotel pick up is limited to specific hotels only, I had to walk to Holiday Inn Darling Harbour for the pick up. During the drop off, guide/driver will decide a few convenient locations to drop everyone as the traffic was bad and there were many road works on a Friday evening. Lunch was mediocre. We only liked the wine tasting at Leogate which is a more boutique wine making place. The main itinerary is wine tasting @ Leogate, lunch, wine tasting at Macguian (optional cheese tasting that is chargeable) and then a chocolate shop. I feel it’s a little overpriced, more like a day trip with many stopovers for you to purchase wine & chocolate, that’s about it. A little too overpriced and experience was just alright, not worth the $$.